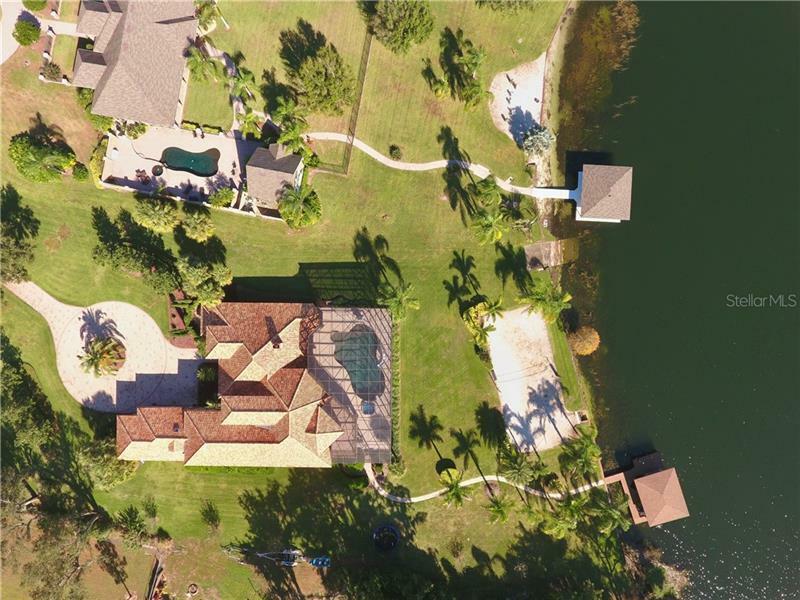 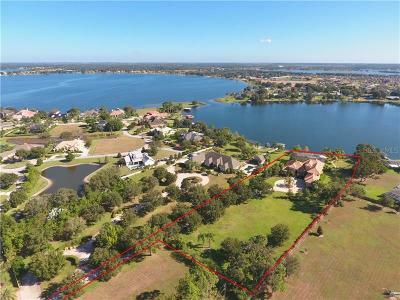 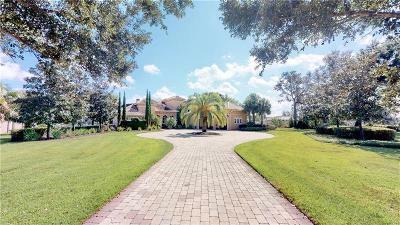 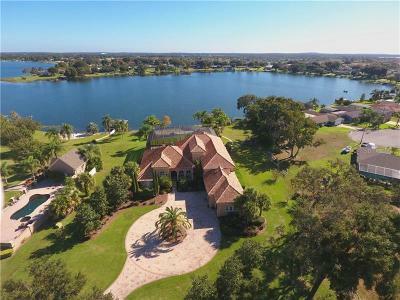 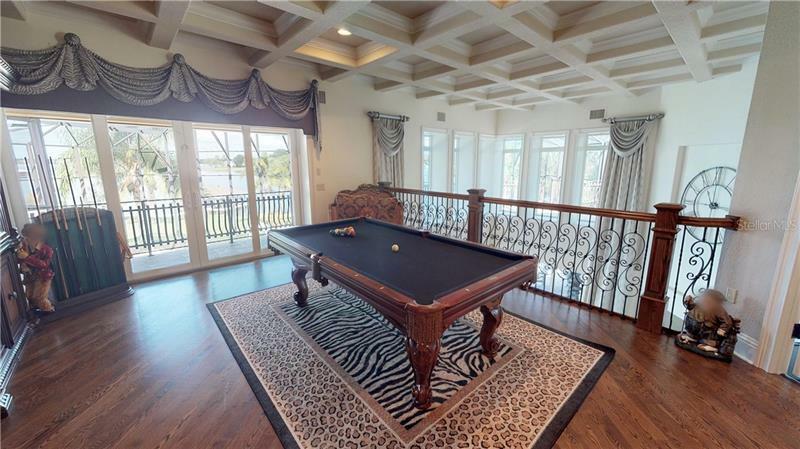 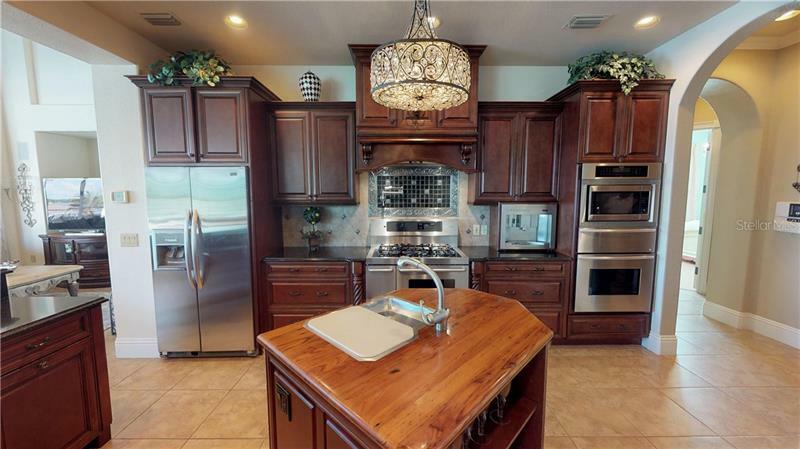 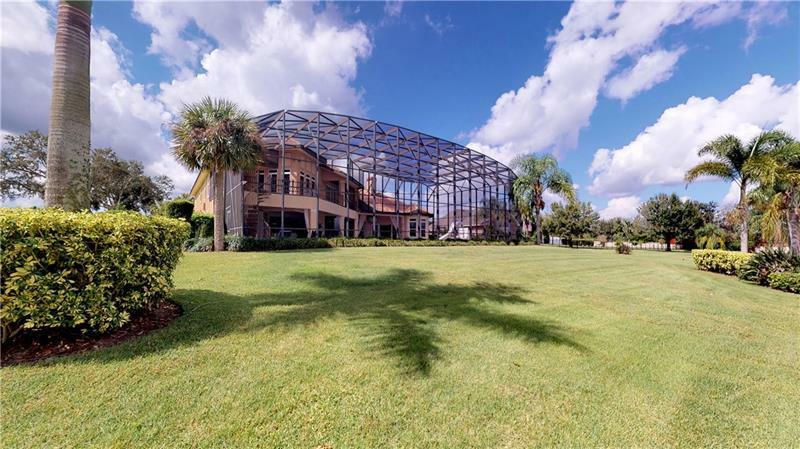 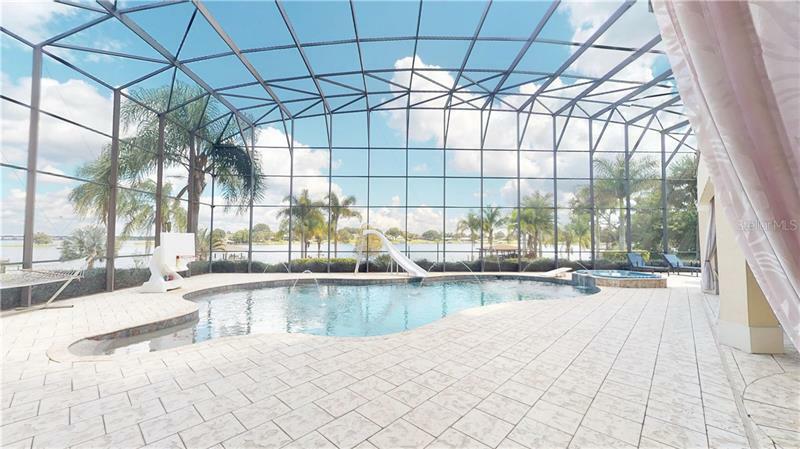 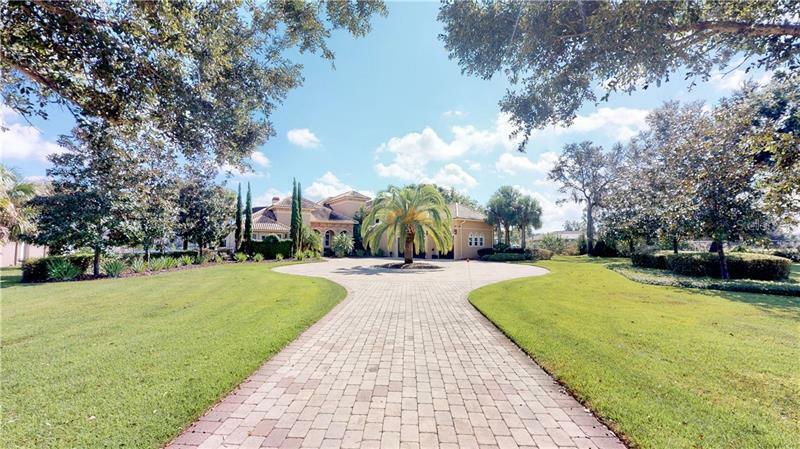 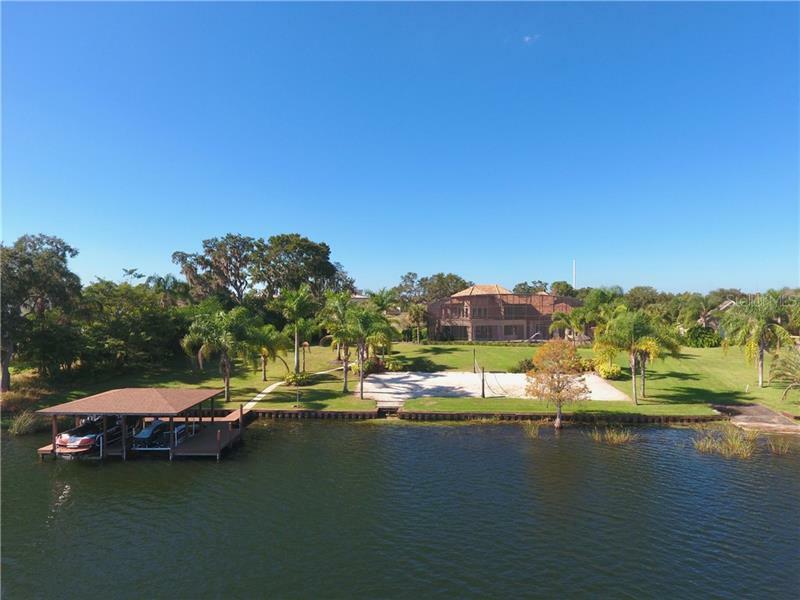 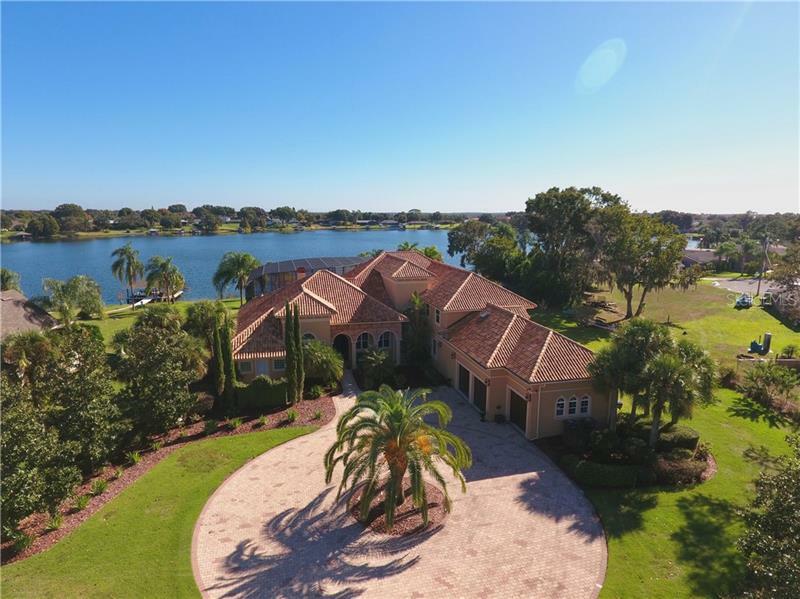 Gorgeous estate on the shore of Lake Winterset, the southernmost lake on the famed Winter Haven Chain of Lakes. 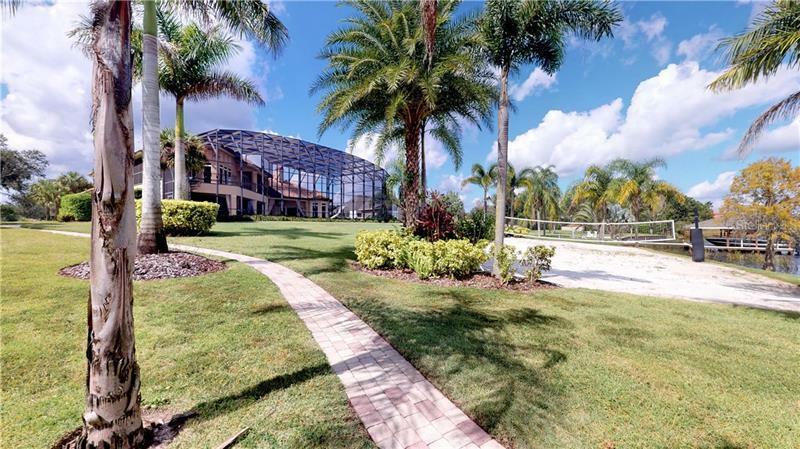 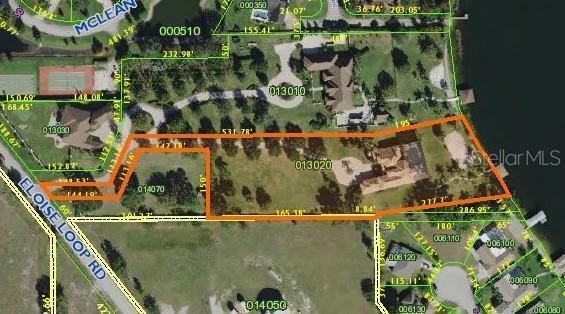 2.78 acres in neighborhood of exceptional homes and estates. 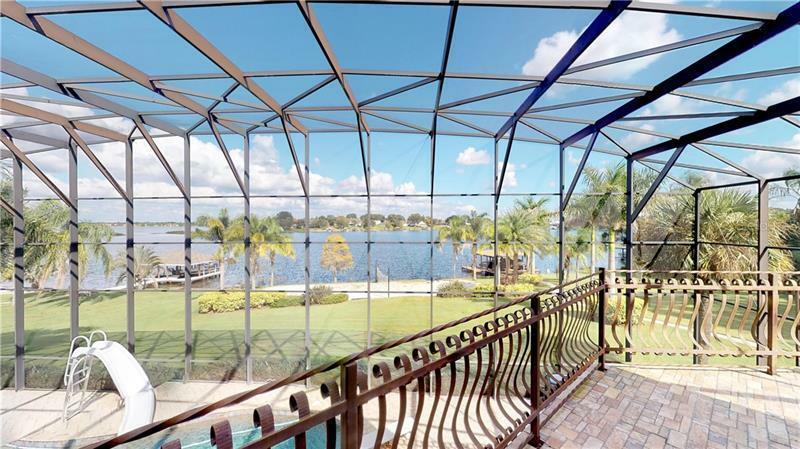 Enjoy lake activities from your private lakefront - skiing, boating, wakeboarding - experience Legoland ski show from the water - dock and dine at local waterfront restaurants! 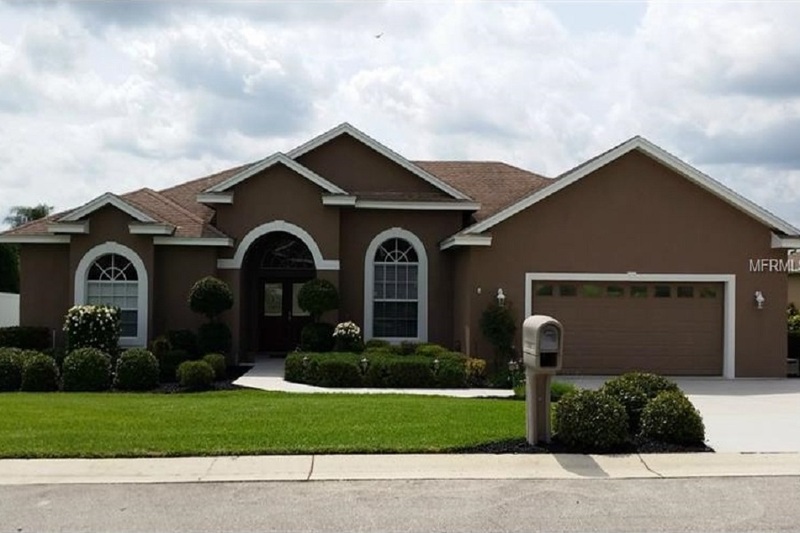 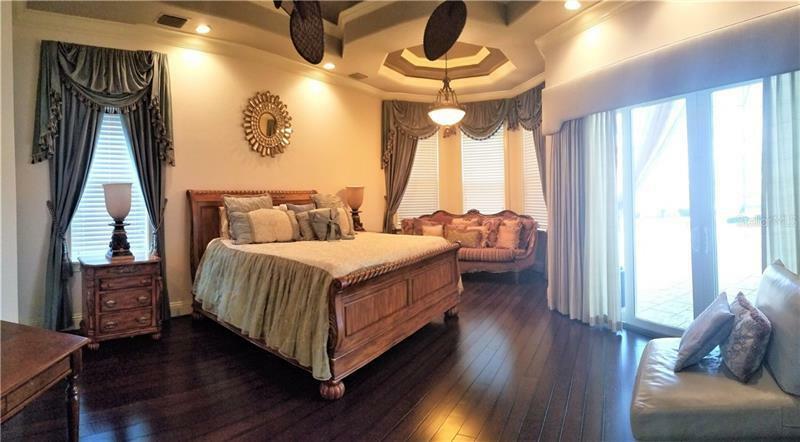 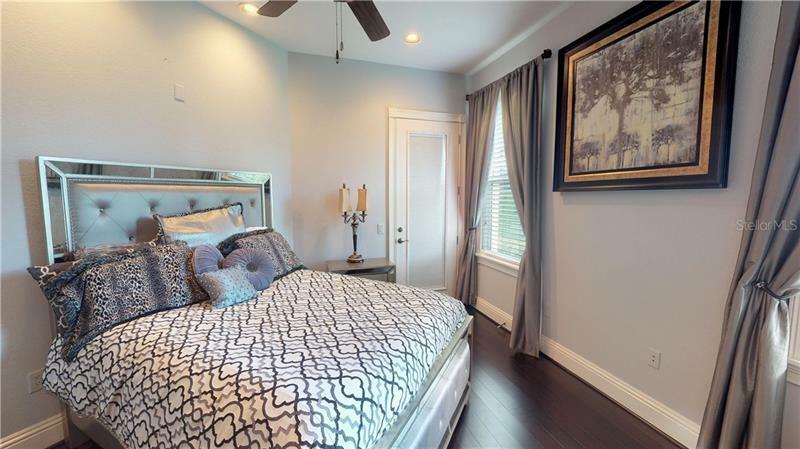 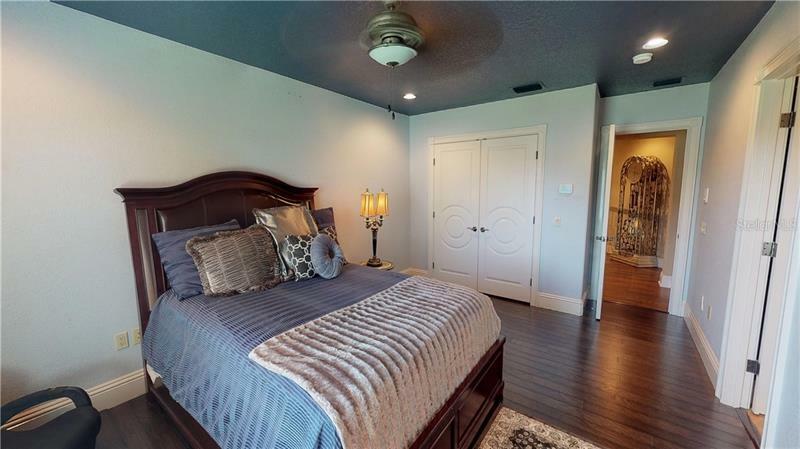 This beautiful home boasts breathtaking features and comforts including 5 generous bedrooms, 5 full bathrooms. 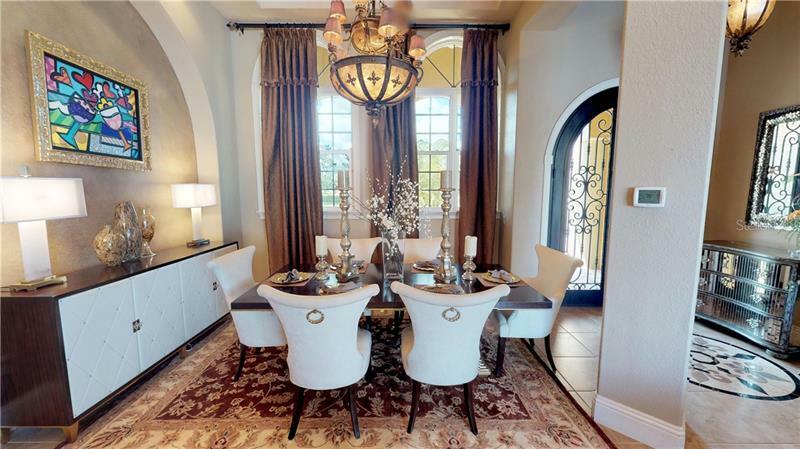 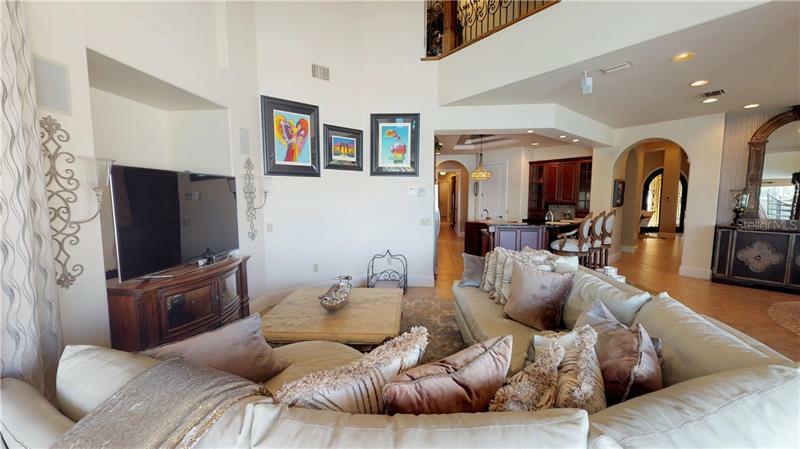 Upon entering the gracious foyer, you realize you are in an elegant home. 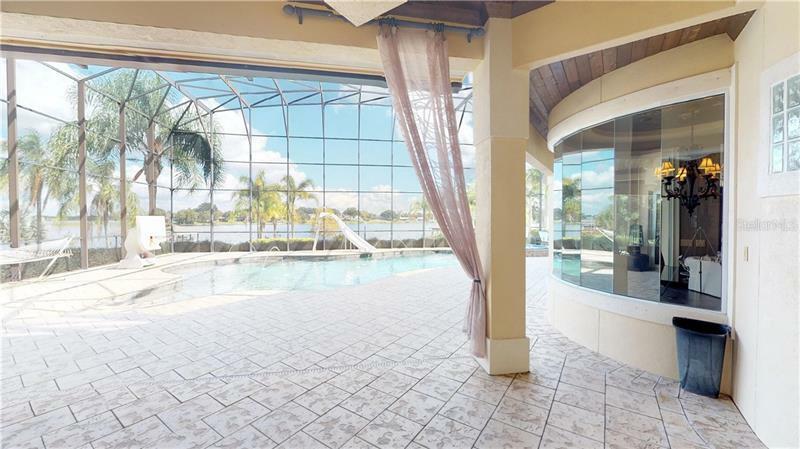 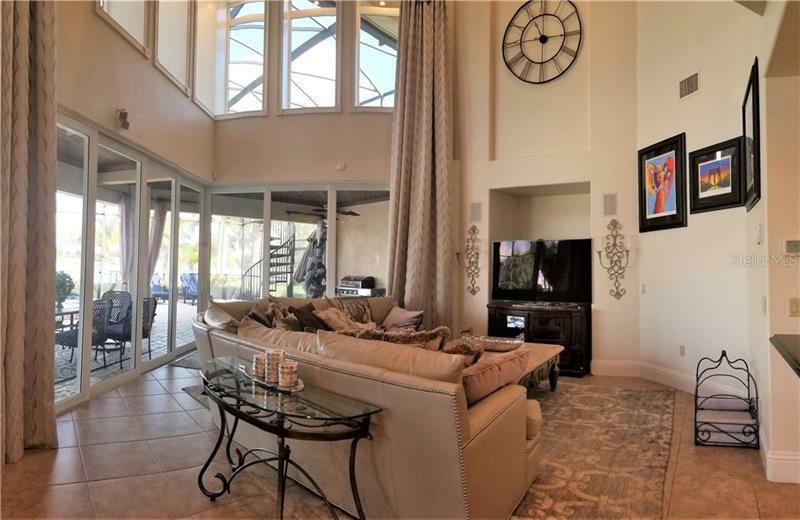 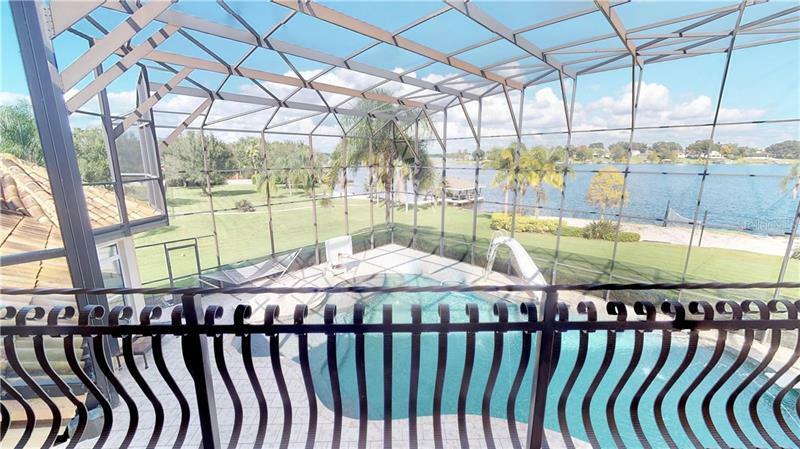 Retractable window walls are available in the formal living room and the family room - both of which overlook the incredible pool lanai and lakefront. 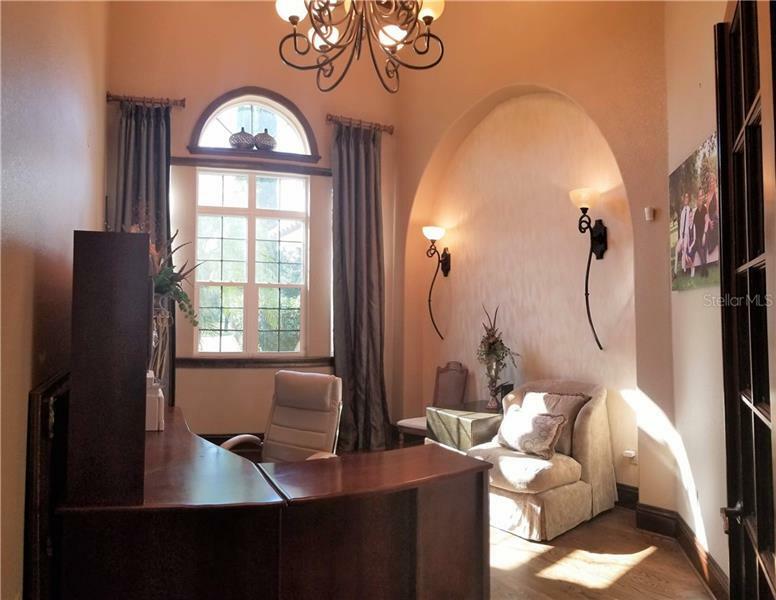 A formal den with soaring ceiling is perfect for a home office. 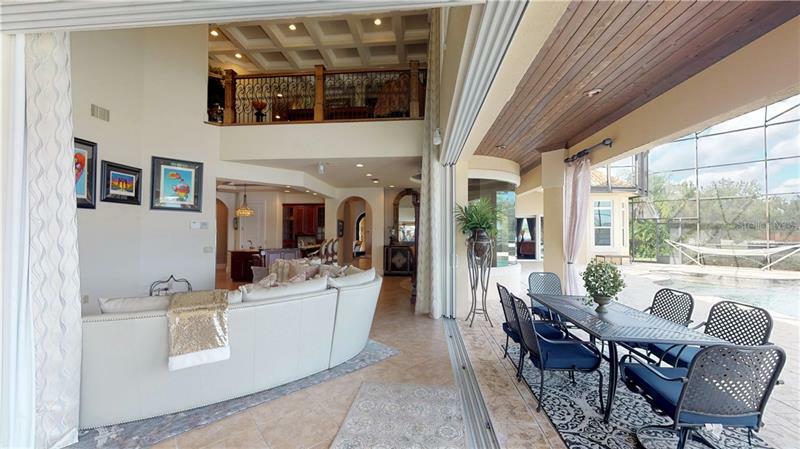 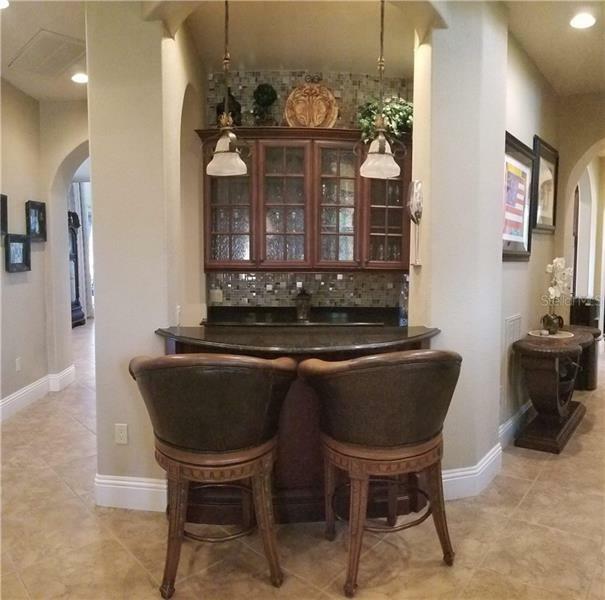 The owner's retreat is complete with a wet bar, sitting area and large sleeping area - oversized sliding doors also provide access to the pool and lanai. 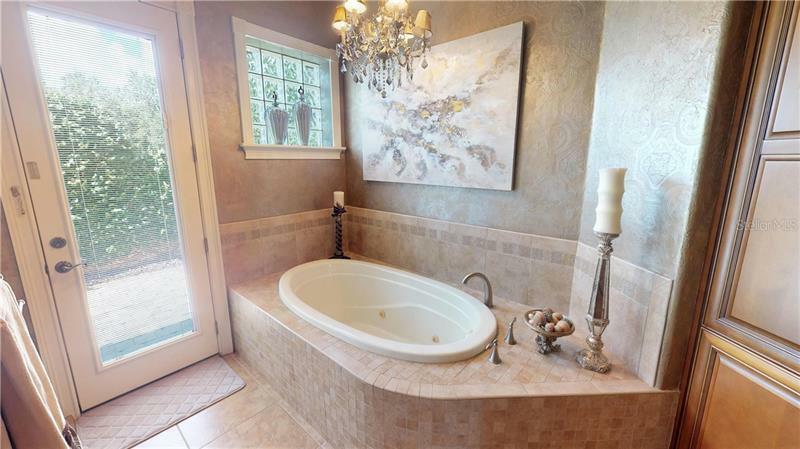 The master bathroom suite provides the ultimate in luxury - double closets, separate jetted tub and multiple spray shower, double vanities, and private courtyard. 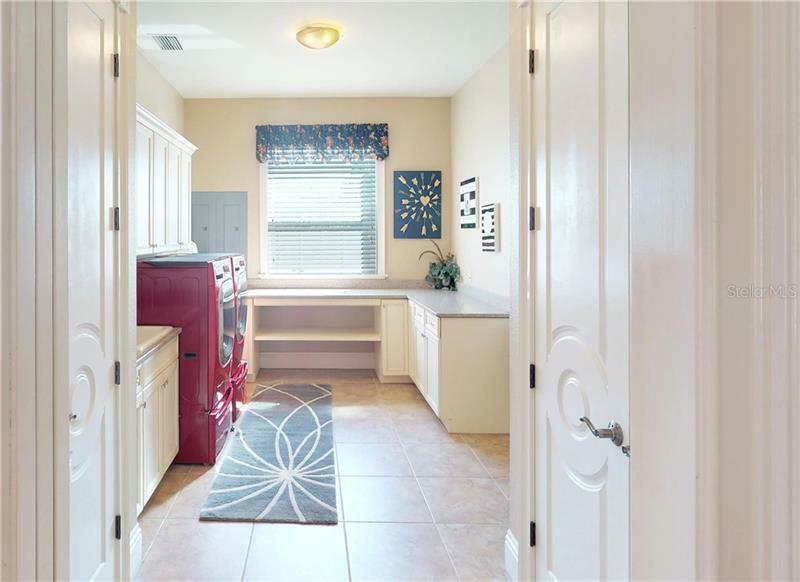 The large kitchen, complete with high end appliances and closet pantry easily serves the family room and breakfast nook. 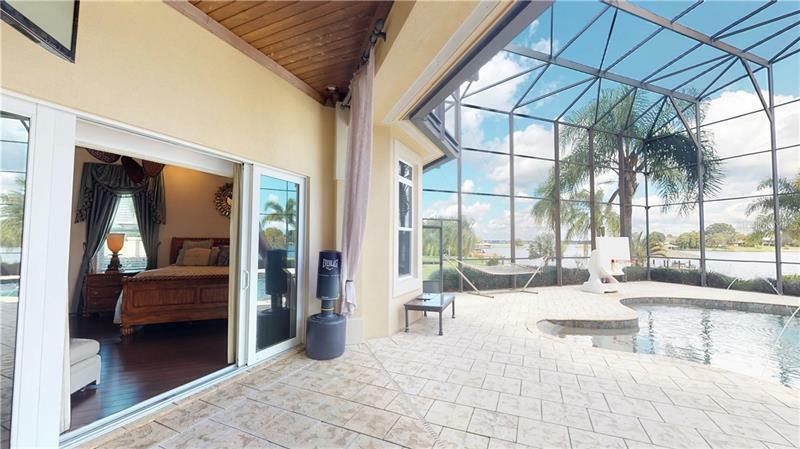 The nook has a unique array of window panes that provide a panoramic view of the pool, lanai and lake! 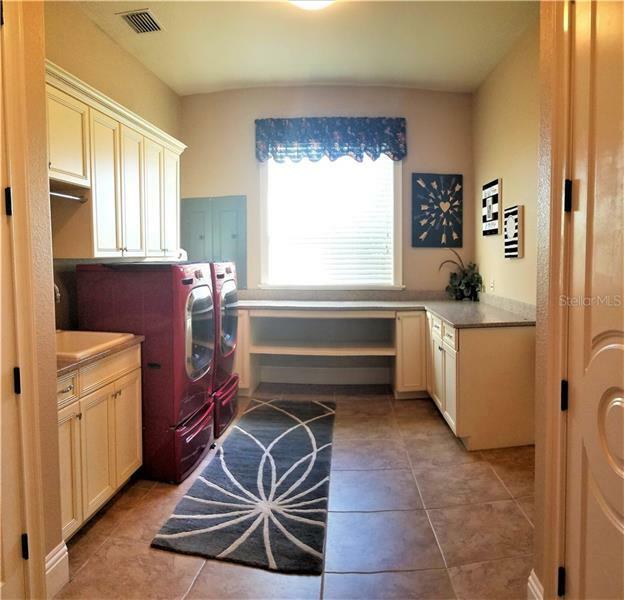 The adjacent vacant lot is available for separate purchase. 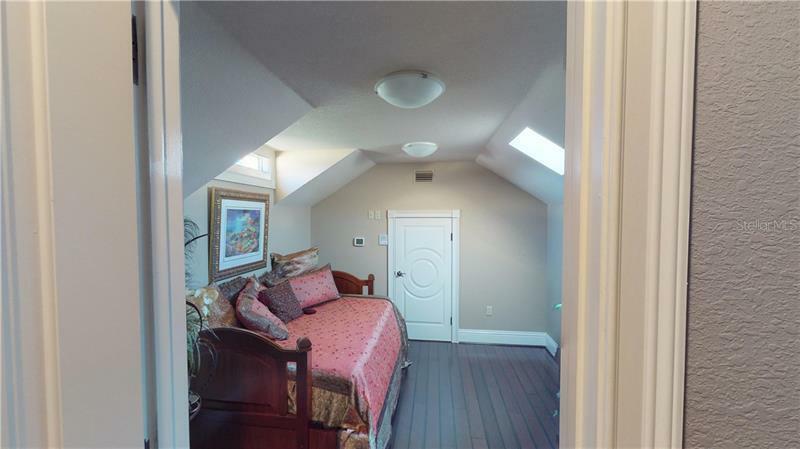 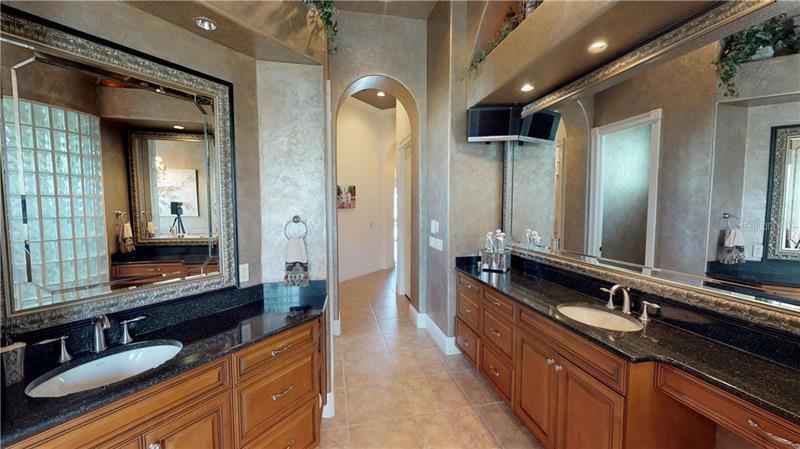 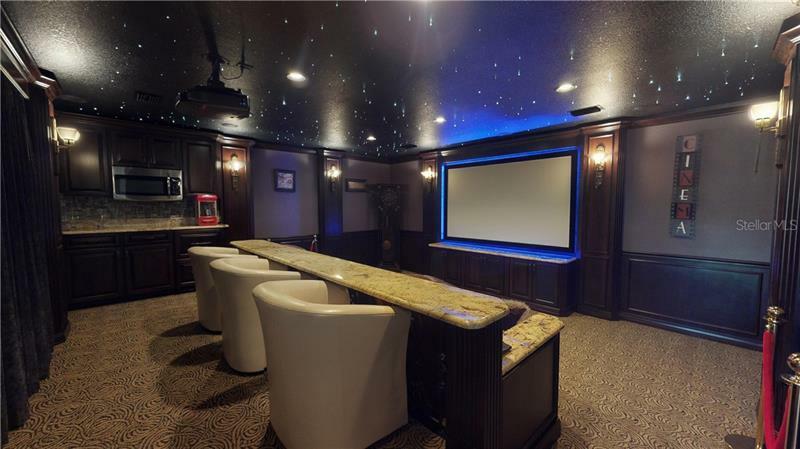 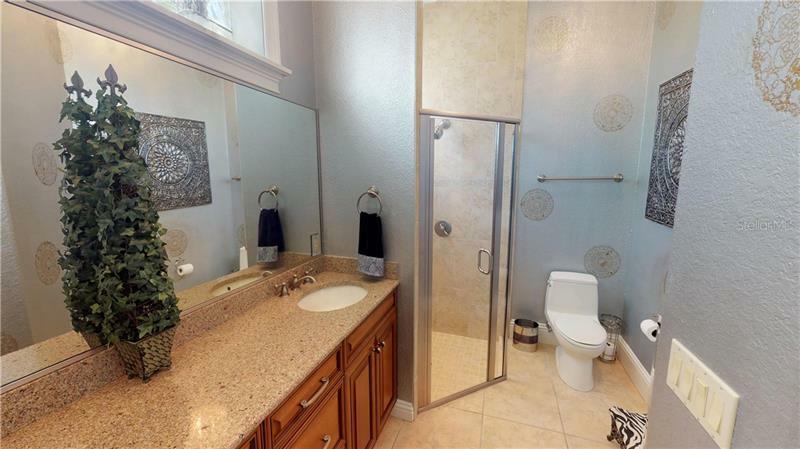 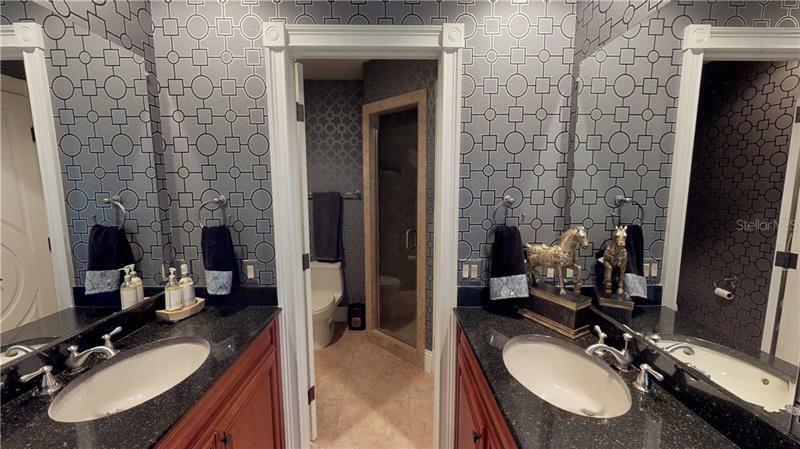 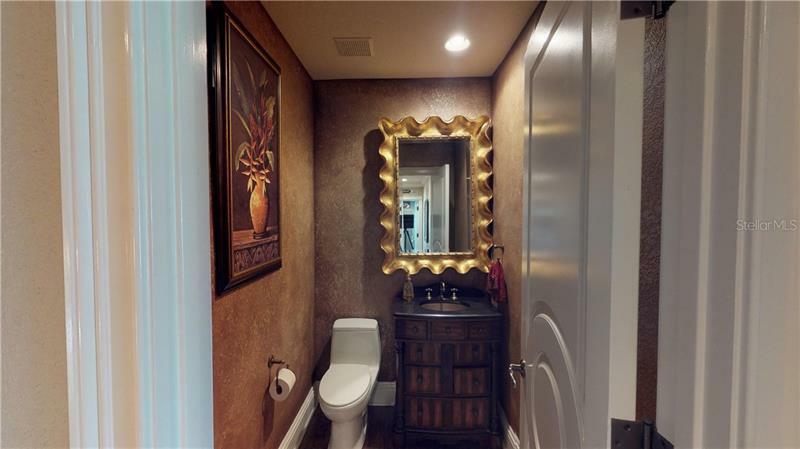 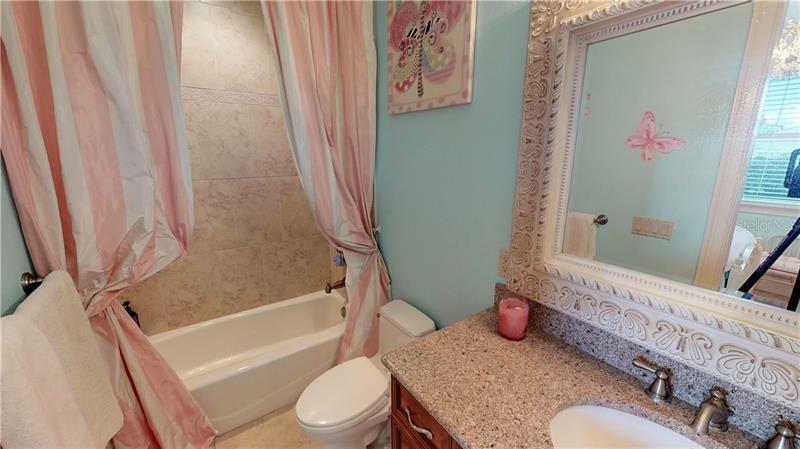 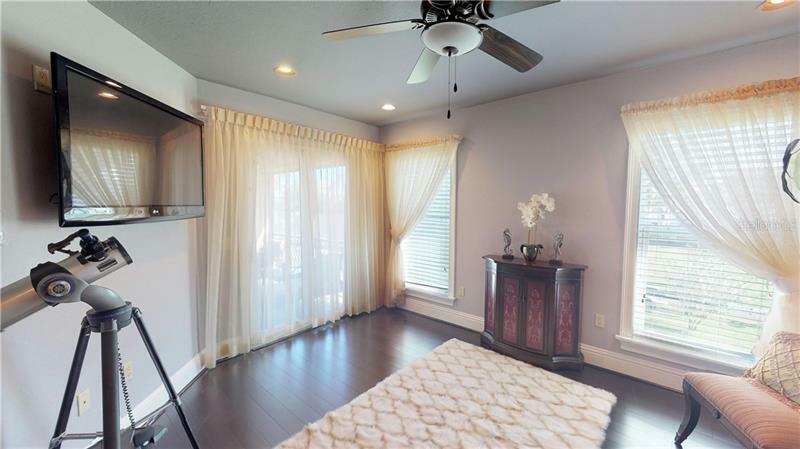 As you can perceive, there are too many amenities to list - this is a home the discerning homeowner must see!